4 Comments on "A New White Bread (with egg)"
My pc is acting up, anyways I saw the photo of the bread I sent you. You make instructions of your recipes so easy and very straight forward, which make it easier for us beginners to follow. I feel like a Pro when I saw the outcome of my baking, so proud of myself. Looking forward to more “video” recipes. HAPPY NEW YEAR …ALL THE BEST. Love your website and your sense of humor..
I’m your newest man fan. I’ve taken an interest in cooking after starting a new hobby of winemaking a few years ago. Last weekend I made one of your white breads with half whole wheat flour then put it in a cocotte and baked it in my Commando Grill outside in winter. Yesterday I made your cabbage rolls. I’m having great success and am so happy to have found your website. Happy New Year to the pretty lady! I love your bread recipe. It is easy and using whole wheat flour is healthy. I don’t buy bread anymore. I am going to use your new recipe to make a loaf tomorrow. I am sure it will be good as usual. Thanks! 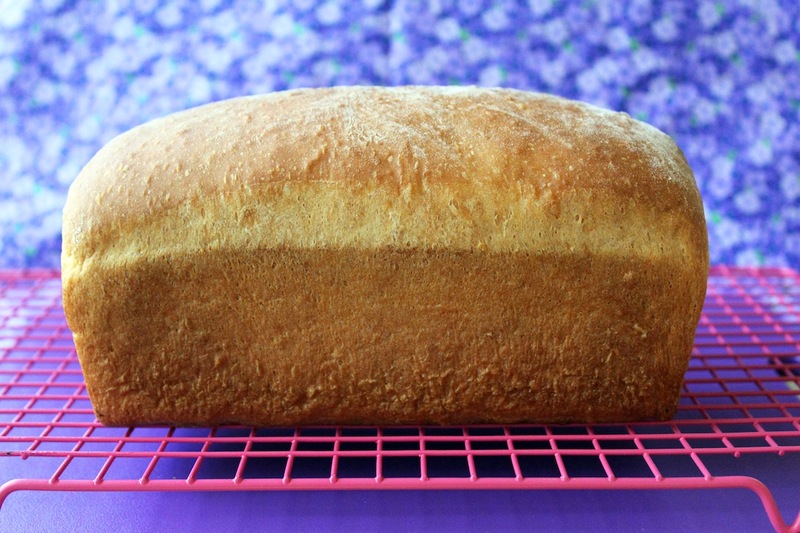 This has worked for me and that is how I started making your whole wheat bread recipe using white all purpose flour and adding the bread flour and I taught my youngest granddaughter to do it too. Now I keep the KA white whole wheat flour in my frig and use it all the time for myself as my husband is not a big fan of any kind of bread. I too love your website and your great sense of humor.